New York artist Marie-Lise Lachapelle grew up in the green suburbs of Montreal. Her love of nature, fashion, and the influence of her entrepreneurial parents have culminated into a successful career designing stunning jewelry. She creates custom high impact jewelry and a variety of collections using organic elements and shapes. 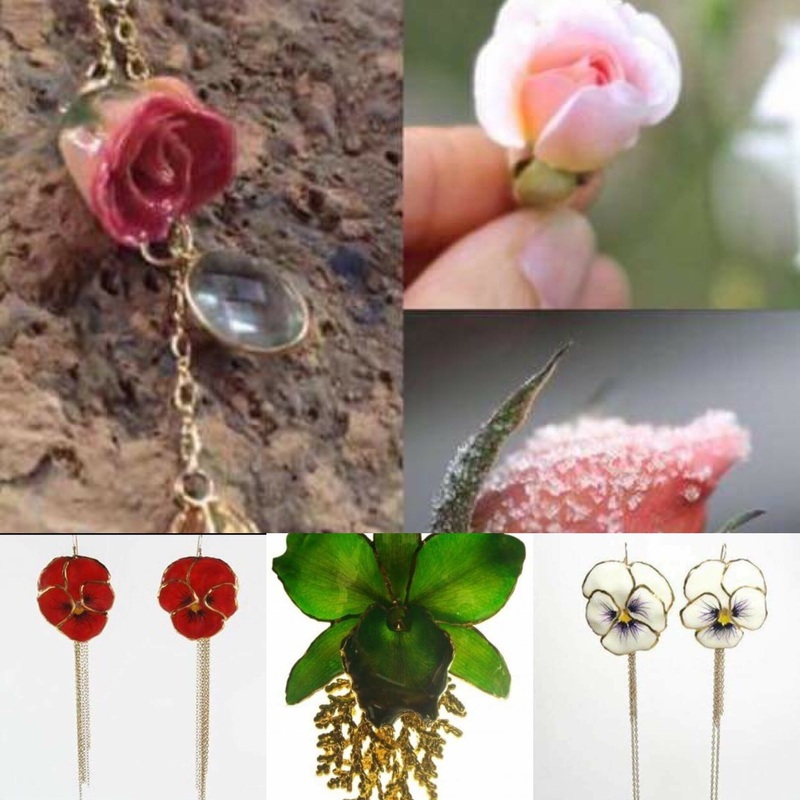 Her unique combinations of flowers, precious metals, and stones, have garnered her international attention. Marie-Lise Lachapelle’s multi-faceted career began in 2003 where as maître-d’hôtel for the Parisian bar-restaurant Man Ray (owned by Sean Penn, John Malkovich, and Johnny Depp) she met many influencers including high fashion photographers who helped her flourish as a fashion stylist and model. She introduced her own creations in magazine shoots, television series (including Gossip Girl, Entourage, Desperate Housewives, Will & Grace and many more) and music videos (Beyoncé, Mary J. Blige and Fergie). While living in LA, she also presented her jewelry backstage at the Oscars, Grammies and in Utah at the Sundance Film Festival. In 2005 she launched her first collection. Her designs are favored by the likes of Alessandra Ambrosio, Adriana Lima, Jaime Pressly, Fergie, Christie Brinkley, Molly Sims, Sharon Stone, Kim Kardashian, and Keri Russell to name a few. Her highly popular resort collection which she brings back year after year due to popular demand, is made out of orchids and roses immortalized in a clear but strong resin which are then adorned with precious stones and metals. This allows each flower’s veins and colors to show through and ensures that each sculpture is unique. Another notable line is comprised of solid gold and silver organic shapes or natural elements created from wax molds that are turned into gorgeous cocktail rings, necklaces, and statement earrings. Marie-Lise took a break from the spotlight five years ago when her daughter was born to prioritize her proudest achievement. She took the opportunity to further refine her art by training with precious metals and stones. Now, not only does she create unique collections but she designs exquisite wedding rings and other luxury pieces. Her art ranges in price from seventy-five dollars and can run into the thousands. Her life’s passion is in finding new ways to use natural elements to express the individuality of each of her clients. Once a boutique owner, the rising cost of real estate in New York lead her to rethink where she presents her jewelry. Currently she prefers pop-up shops in designer hotel rooms like the NoMo SoHo, and boutiques; often showcasing with other artists as a way to connect with her clients. She recently showed her designs at Espace Pepin here in Old Montreal. She attributes much of her success to attending trade shows and events like the Cannes Lions Festival happening this June. Her jewelry is available in the US and abroad. 2016 promises to be an exciting year for Marie-Lise as she launches in Canada. She will be back in Montreal the last week of May to showcase her designs. Her team has grown substantially and includes Yanik Deschenes, Head of Global Communications, Sid Lee. 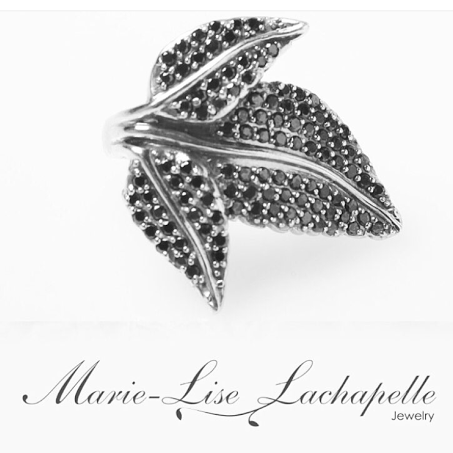 For point of sale, and inquiries contact info@marieliselachapelle.com. Look books for wholesale and retail are available upon request. All of this week (w/o April 25th) you will find Marie-Lise at the NoMo SoHo, and again in two weeks (w/o May 9th). NoMo SoHo is the former Mondrian Hotel. Located at 9 Crosby st., NYC. Marie-Lise is pictured above at at NoMo SoHo, in the famous white and blue suites. Tuesday May 3rd through Saturday May 8th at Prudence Designs (a high end trendy flower store in Chelsea). A portion of the proceeds will go to the 2016 AIDS Walk. Marie-Lise is launching in Mexico City this month, and then doing a events in Cannes and the south of France in June. She is back in Montreal at end of May for one week. Exact dates to follow.